Lets have Custom Stone Fabrication at State of the Art Fabrication Shop, Architectural Design, Interior Planing & Details all in one room. "We do all interior work so the client has few subcontractors - our goal is to prove you saving." We specializing in both Interior & Exterior Stone work, we have accomplished many prestigious projects all around chicago lane area and dwontown chicago. Custom details, views, and open design are all hallmarks of Marble & Granite City. "We build so the client has few upgrades - our standards are the upgrades." By specializing in new home construction, we have the opportunity to get to know our clients and learn their lifestyles. Lets get custom fabrication of abc, all in one roof. "Every home is different, and satisfying our client is our primary goal." Each custom home is designed from the inside out, where form follows function. By walking clients through the large and small details of the design process, Marble & Granite City can incorporate our clients' preferences with our discriminating sense of design and function. The result is a distinctive blend of flow and aesthetic. A marriage of grand open space and personal comforts unique to your lifestyle! You have found Marble & Granite City..
Make a good home great! Perhaps it is time for a major addition. Possibly a new downtown condominium build out, maybe a complete renovation to all systems, or a basement finishing. 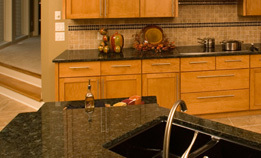 Whatever the vision or the size of the job, Marble & Granite City is equipped to make a good home great. Custom Cabinets, Custom Flooring, Custom Stone, Appliances & Custom Casiing all in under one roof, Our Home Renovation team includes the regions very best and is structured to deliver premium quality with a superior value. Skilled staff successfully manages even the most challenging project, keeping everyone on the team informed and on task. 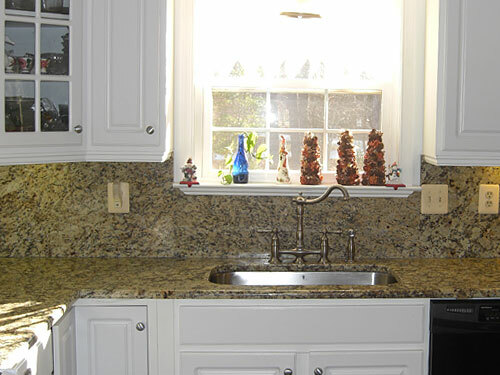 Keep your home looking great and running smoothly for years to come through Marble & Granite Ciy's Maintenance Program. Our Maintenance Plan is designed to ensure necessary repairs, maintenance, and general upkeep are performed for your home on a timely basis. Finding an issue early is your most effective tool to preventing small issues from growing into larger, more costly repairs. Based on a thorough inspection of your home, a formal plan and schedule will be created. This plan is specifically tailored to your home. You will receive both a bound and digital copy of this report. After discussing what you would like us to do for you, we build a plan to keep your home in peak condition. Your information is tracked and you will be alerted when maintenance should be performed. Free Design, Layout, Shopticket & Template. Free 16 Gauge Stainless Steel Sink. Upgrade Premium Edges for no Extra Charges. 30 different 1-1/4" thick stone to choose from. Free Removal & Haul Away of Existing Tops. One week turnaround time (design to installation). Newly upgraded Showroom open for Public More than 200 Different Materials on Displays.